After the climate wars, a floating city is constructed in the Arctic Circle, a remarkable feat of mechanical and social engineering, complete with geothermal heating and sustainable energy. The city's denizens have become accustomed to a roughshod new way of living, however, the city is starting to fray along the edges—crime and corruption have set in, the contradictions of incredible wealth alongside direst poverty are spawning unrest, and a new disease called "the breaks" is ravaging the population. 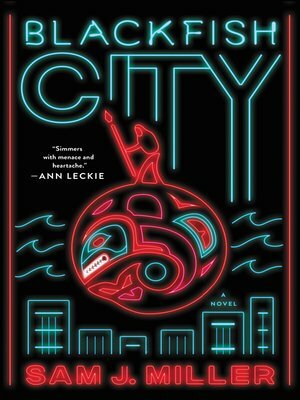 When a strange new visitor arrives—a woman riding an orca, with a polar bear at her side—the city is entranced. The "orcamancer," as she's known, very subtly brings together four people—each living on the periphery—to stage unprecedented acts of resistance. By banding together to save their city before it crumbles under the weight of its own decay, they will learn shocking truths about themselves.